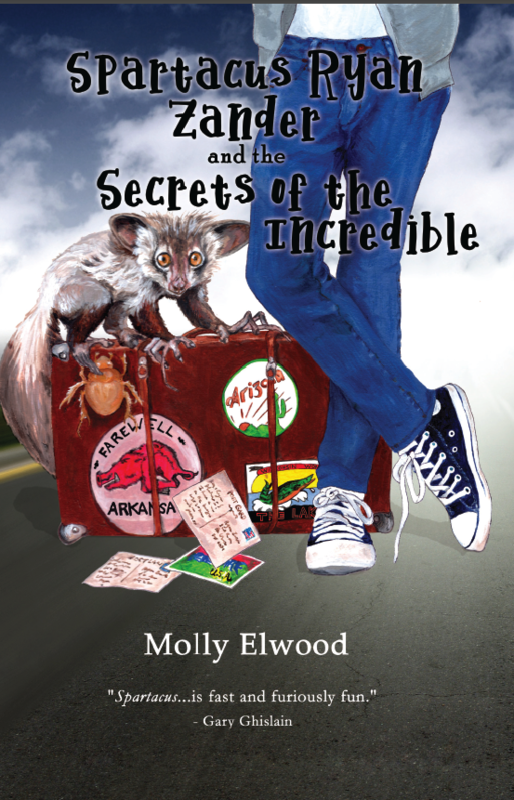 Molly Elwood was born in Oregon’s suburbs and then raised in Oregon’s Wild West (which is strangely in the central part of the state). She began writing the way that most people do, as a small child with small words. Then the words got a bit longer and so did the sentences. Before she knew it, she liked words more than most other things, like numbers or cooking, or social graces like not reading at the dinner table (or while riding a bike or when attending weddings or funerals). And this “stuff” wasn’t just books, but billboards and instruction pamphlets and soup labels—which may not sound hugely exciting to most people, but Molly loved a well-written soup label. So Molly got two degrees in Writing. Then she traveled around the world a bit, so in case anyone asked her to write about, say, the castles of Ireland or the street-food of China or the baguettes in France or the cocoa plantations in Panama, she’d be ready. Molly now lives in Portland with Zach (her handsome, genius writer-husband). She works as a copywriter/creative mind and spends her free time watching bad movies, reading good books, stalking the perfect vegan donut, and scheming ways to get on a plane to anywhere. She is currently obsessed with the multiple worlds theory and how it affects cat behavior.